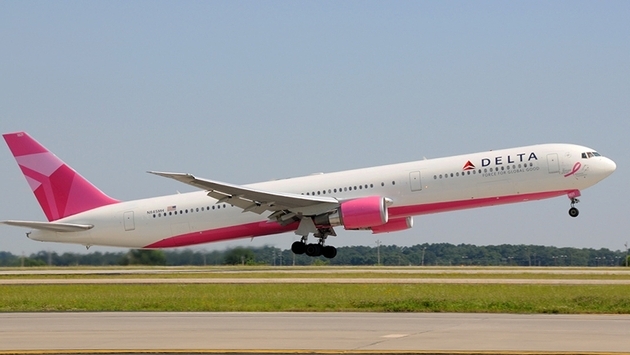 Delta Air Lines will add new service from Seattle-Tacoma International Airport, including nonstop service to Phoenix Sky Harbor International Airport and seasonal nonstop service to Palm Springs International Airport. Delta will also add new and expanded service from Sea-Tac to seasonal destinations as it continues building its domestic network. Delta's new Seattle service beginning Dec. 20, 2014 includes five daily flights to Phoenix; one daily seasonal flight to Palm Springs, Calif.; Saturday seasonal service to Tucson, Ariz.; Saturday seasonal service to Jackson Hole, Wyo. ; and one additional nonstop flight to Honolulu for a total of two daily flights. Expanded seasonal service beginning in September includes one new daily nonstop flight to Anchorage, Alaska for a total of two daily flights in September and three daily flights during the summer. United Airlines today announced plans to operate flights between its New York hub at Newark Liberty International Airport and Santiago in the Dominican Republic in the summer of 2014. The flights are subject to government approval. United plans to introduce daily service, utilizing Boeing 737-900 aircraft, leaving Newark Liberty at 9:00 a.m. and arriving in Santiago at 12:55 p.m. The return flight will depart Santiago at 1:50 p.m., arriving at Newark Liberty at 5:55 p.m. The service will open for sale once regulatory approval is granted. The new service will be timed to provide roundtrip connectivity with Washington, D.C., and Chicago. In the Dominican Republic, United offers flights from New York/Newark to Santo Domingo, Punta Cana and Puerto Plata and on a seasonal basis from Chicago and Washington, D.C., to Punta Cana. Details of the new flight will be announced once the service is approved. American Airlines Group's total revenue passenger miles (RPMs) for the month of January were 17.3 billion, up 3.8 percent versus January 2013. Total capacity was 21.6 billion available seat miles (ASMs), up 2.3 percent versus January 2013. Total passenger load factor was 80.3 percent for the month of January, up 1.2 points versus January 2013. Based on one month of actual data and two months of forecast, the company continues to expect first quarter 2014 consolidated passenger revenue per available seat mile (PRASM) to be up approximately 2-to-4 percent vs. first quarter 2013. United Airlines today reported January 2014 operational results were up slightly. UAL's January 2014 consolidated traffic decreased 1.6 percent and consolidated capacity decreased 2.8 percent versus January 2013. UAL's January 2014 consolidated load factor increased 1.0 point compared to January 2013. And Virgin America also reported its preliminary operational results for January 2014. 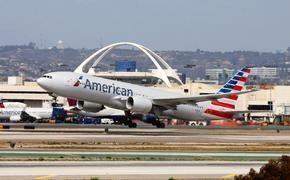 The airline's January traffic rose 10.9 percent on 3.7 percent more capacity compared with the same month in 2013. Load factor in January was 76.3 percent, up five points from the same month a year earlier. The number of onboard passengers rose to 490,000 for the month, up 16 percent from January 2013.